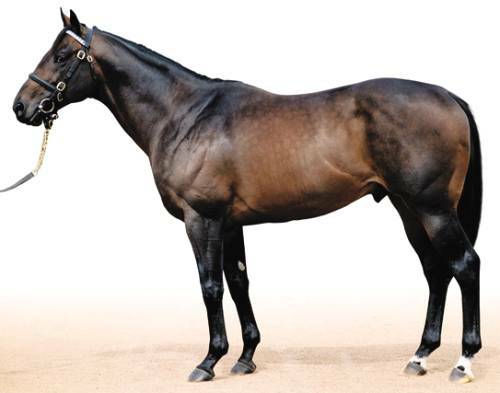 First Season Sire in 2006. Raced in US at 2yo for Sheikh Mohammed. Won 5 races at 2yo to 4yo between 6.5-10 furlongs. Won 1 from 5 at 2yo in a 6.5f maiden at Del Mar, later placed in two 7f Grade events before finishing third in the 8.5f Grade 1 Breeders' Cup Juvenile at Churchill Downs. At 3yo ran in Dubai and won the UAE 2000 Guineas in March. At 4yo won Gr1 9f Stephen Foster at Churchill Downs and Gr1 10f Dubai World Cup. A solid start with his British raced 2yos with 2 winners from 7 runners including the useful Big Timer (7f Listed victor) who later ran in the US. In the US he made a good start including siring the Breeders' Cup Juvenile winner. 8 yearlings sold in Europe for an average of 104,000 guineas.